2. Select a Product Pack : Oracle Fusion Middleware and Platform : Linux x86-64. Click on Go. 5. Optionally you can also download Oracle Mobile Security Suite Documentation if you want to dive into the documentation. The folder Servers include the installable binaries. For installation on Windows, OMSS provides one single executable file. We will cover the installation on Windows in a separate post. 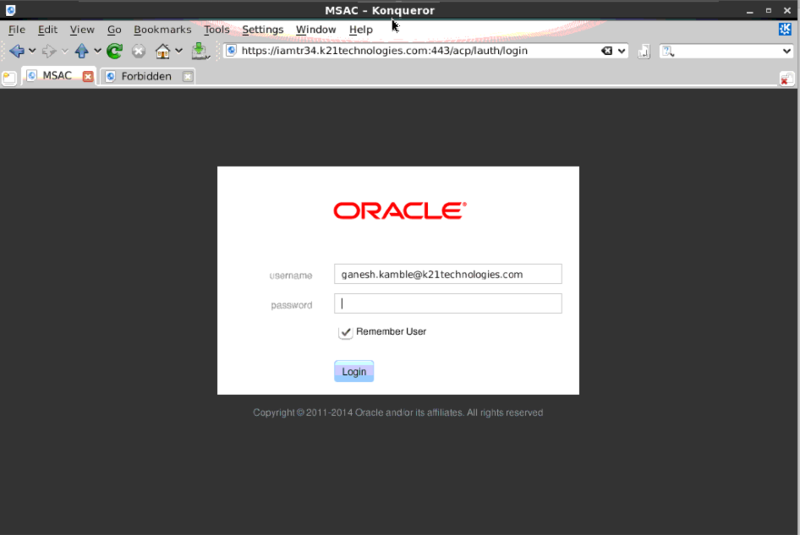 The supported databases are Oracle database and MySQL database which comes with the installation. If you want to use Oracle database, then you must have a tablespace and a temporary tablespace already created. The server components require a PKCS#12 private key and public certificate file that is suitable for use with HTTPS and FTPS as well as the server certificate CA trust chain file. If you don’t have the PKCS#12 file, you can generate one with the following commands with a self-signed certificate. Edit /etc/sudoer file by using the command visudo as root. If you are using min Oracle Linux 6, you should not face any problem installing the dependencies. If it fails, then install the missing RPMs manually. The next step is to configure Mobile Securrity Administrative Console. 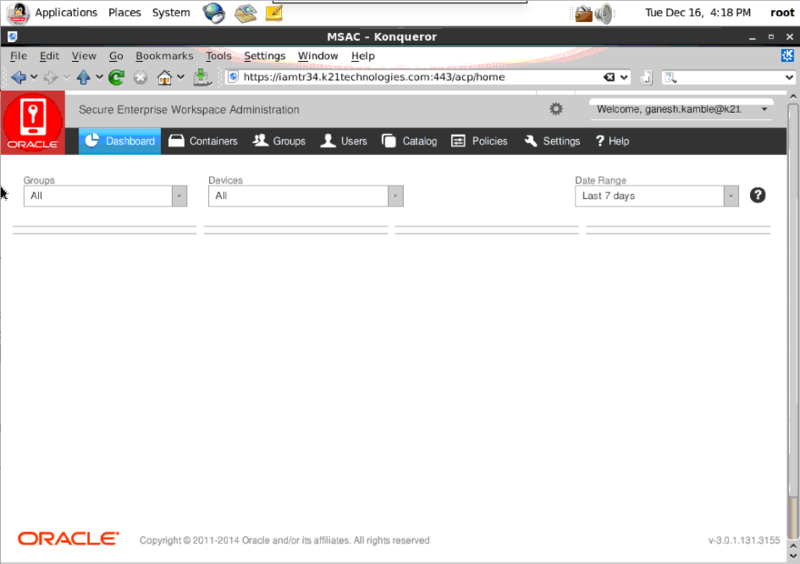 All the configuration attributes are stored in /opt/oracle/omss/msac/templates/vars.conf file. You will be prompted to enter the PKCS#12 file password to extract the key and cert. This finishes the installation and configuration of Mobile Security Administrative Console. Mobile Security Notification Server requires tomcat container. The tomcat rpm is provided with the installable. Execute the below command to install. This completes the installation of Oracle Mobile Security Suite on Linux. Leave your comments below if you need more information. Thank you.